By Debbie Page, RN, IBCLC, CEIM, director of TheNewBornBaby.com. Originally published on The Attached Family.com on September 28, 2009. In Western societies, it is commonplace to expect a child to breastfeed for six months to a year only. Many mothers set that as their goal unaware of what is normal and natural: children wean naturally. Natural weaning, when allowed, occurs sometime after the child is two and one-half years old, not before. In some societies, children will nurse for five to six years. Where did the notion that breastfeeding is only for the first year of life come from? It came from modern, industrialized societies. The benefits for the child continue as long as the child receives breast milk. The benefits to the mother continue as long as she produces milk. Therefore, nursing well into the second or third year of life is of great value and critical to the child’s overall health. The World Health Organization: at least two years. The American Academy of Pediatrics: one year and beyond. Health Canada: two years and beyond. API: Tell us about how your business began. What was the inspiration? What are your goals? Julie Zorgo: Spark of Amber was founded in early 2013, after I was introduced to Baltic amber jewelry through a friend. I did some online research and found out how Baltic amber has been used for years in children as a natural teething aid and pain reliever. The succinic acid in Baltic amber is scientifically studied and is an active ingredient for pain relief, calming properties and anti-inflammation. 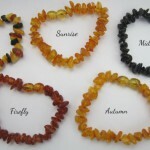 I discovered that adults also use Baltic amber for calming, pain relief and as a natural immune builder. My inspiration to do this came from my husband and three children. My family is my biggest fan club. My goals are many. First, I hope Spark of Amber grows to the point where it can be a full-time job from home for me. I believe in being there for my children, even as they get older. 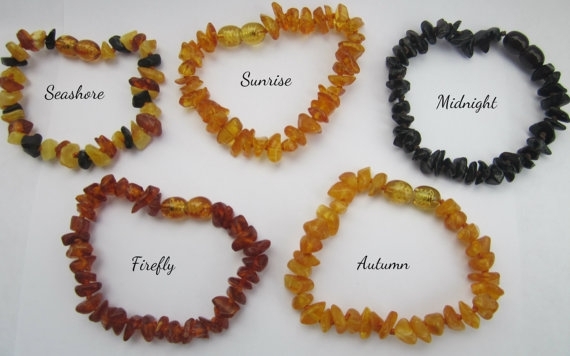 My other goals are to be able to donate to different charities and raise awareness for worthwhile causes through my business, and to make Baltic amber accessible and affordable to other families. API: How does your business contribute to society? Julie: My business currently spotlights a different charity or cause each month. For May, I picked End It, which seeks to raise awareness of and end the current blight of modern-day slavery and human trafficking. As my business grows, I would like to pick a day each month to donate a portion of sales to the cause of the month. Other charities and causes that I would love to contribute towards are breast cancer, child abuse awareness, positive parenting, breastfeeding support, and adoption awareness and help. Another way Spark of Amber helps contribute to society is that, whenever possible, we work with different women in Lithuania to help craft our jewelry rather than buying from large factories. I feel it is important to help these women to feed and support their families by creating beautiful amber jewelry. API: How does this business benefit families? Julie: Spark of Amber benefits families by making beautiful amber jewelry available at affordable prices. I love promoting natural (rather than chemical) remedies for families. Several mothers have already written me about how much the jewelry has helped their headaches and pain or made them feel less stressed during the day, so they can be better mothers. We offer something beautiful and beneficial for the whole family, from children to teens to adults! API: What are your views of Attachment Parenting International and what API is doing? How can we work together with your project? Julie: I think API is doing a very valuable service. Every day millions of children are living in abusive or very harsh environments, and this can scar them for their entire lives. We need to do so much better. 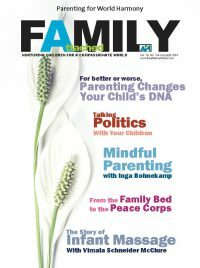 I think there is such value in educating the public on natural and loving parenting practices. I am completely supportive of API and hope more families become aware of the value of attached parenting. There is a lot of misinformation out there, so API does a great job in spreading the positive message of Attachment Parenting. My husband and I were totally unaware of Attachment Parenting when we had our first son, but we just sort of fell into it. My son hated the bassinet (I think it lasted one night), so we started cosleeping and continued for years. In fact, we have co-slept with all our children, and are now cosleeping with our 2-year-old daughter, while the boys share a bed together. I breastfed both boys until they self-weaned. I am doing the same with my daughter. Slings never worked out for us. I did try! Instead my babies preferred to be held. Both my husband and I sacrificed so one of us could be at home raising our children. As far as how you can work together with me through Spark of Amber, I just appreciate the opportunity to share my business and a bit about my family with you. Any support I get helps me work from home so I can spend more time with my children, while still helping to contribute to our family income. API: Anything else you’d like to share? Julie: I’d like to encourage other moms who have a dream for a business or venture to go for it! I am really glad I started Spark of Amber. I would also encourage everyone to do what they can to make a difference in the world. Even if we can’t contribute money, we can be kind to a child, show love, and use gentle words and actions with our own children. It all helps! API: Thank you so much! Where can people get more information? I walked into the kitchen and discovered my two-year-old blonde-haired daughter, dressed in her little pink fleece sleeper with the padded feet, standing on top of the chair next to the counter. She was preoccupied with dipping her fingers into the butter bowl and then into the sugar bowl before they headed into her waiting mouth. When she saw me enter the kitchen, a potential threat to her wonderful activity, she formed a very concise pointed finger at me, and firmly delivered “No!” at my astonished expression. I want my daughter to say “no” when she is three and her daddy might want to put her in the front seat and not the carseat because it is less hassle. I want my daughter to say “no” when she is 12 and her friends might want her to steal a candy bar from the grocery store. 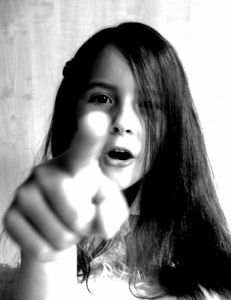 I want my daughter to say “no” when she is 14 and her friends might bully a fellow student. 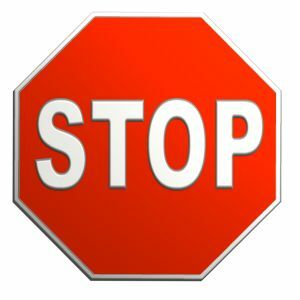 I want my daughter to say “no” when she is 15 and a friend’s drunk parent might want to drive her home from a sleepover party. I want my daughter to say “no” when she is 16 and her boyfriend might want to “show” her how much he loves her. So, when she is two years old, my daughter can practice saying “no” as much as she needs to. And I won’t take it personally. It’s 8:30 in the morning. My husband looks at me on his way to work and says, “Have a great day!” Apparently he didn’t notice the poop on my shirt and disinfectant wipes in my hand. Or the scrambled eggs in my hair. He must not have seen our toddler nursing and clinging like a monkey to my neck while I cleaned poop from the floor. No, he just smiled his enviably brushed teeth at us and went on his way. Thus began another 12-hour day of toddler care, following and sure to be followed by an all-too-short night of toddler care. I’ve never met a parent without a tome of similar stories. Soon enough, I’m told, my toddler will be a teenager and I can remind her of these moments. This is small consolation right now, and I try to keep in mind how much I do love this growing nursling and wouldn’t parent her any other way. Well described by Norma Jane Bumgarner in her book Mothering Your Nursing Toddler as a “baby on wheels,” a toddler is not what people will tell you about when you get pregnant. They woo you with tales of first giggles, first words, first steps. Few mention that toddlers learn to say “no” long before “yes.” Not that toddlerhood is all bad – in our family it is far preferable to those early months of endless crying. Constant babywearing, bedsharing, breastfeeding, and endless love didn’t seem to stop the tears. But these eventually paid off, and Naila is a joyous 18-month-old. But this baby on wheels is just that: a baby with more desire than ability. Jean Liedloff reminds us in her book The Continuum Concept (Da Capo Press, 1977) that even though a child may be old enough to play independently, that doesn’t mean she should be left to do so all the time. Liedloff emphasizes the importance of constant babywearing until the baby is ready to crawl, and then continued babywearing until the child desires to get down and explore. After reading this, I realized I had given in to the “ability mindset” and was trying to force Naila to entertain herself while I grabbed a few minutes here or there to do chores around the house without her “help.” What she really needed was to participate with me just as she always used to. She hasn’t changed nearly as much as I imagine, and her need to be physically close is still far stronger than her desire to do something more interesting than watch me empty a dishwasher from her perch on my back. I need frequent reminders that although she is growing quickly, Naila is still the child and I the adult. Sharing sleep means that when Naila has a difficult night, so do I. The result is that the next day we are both tired and grumpy. But as the adult, I understand why we feel that way and have the capacity to overcome it. I need to rise above the occasion, tie on my sneakers, and go outside for some fresh air for both of us. As my mood improves, hers always follows. Even though we often feel the same way, I need to lead her out of any negativity she is feeling. The resulting giggles are surely a well-earned reward. One of the greatest tools a parent of a toddler has at her disposal is creativity. When boredom or frustration seems to loom, it’s important to get ahead of the game as quickly as possible. Before a tantrum starts, try to get your head out of the situation and jump into prevention mode. A spontaneous game of peek-a-boo or a quick change of scenery can often save the day by distracting your little one from the frustrations you know he is feeling. If your usual bag of tricks doesn’t work, remember: This is still your baby; get him into the baby carrier and turn on some music or head outside. The same patient responses that you used with your newborn will still be helpful with your energetic toddler. It’s important to recognize that a child lives in a world that is very different from the one you share with her. It is filled with experiences she cannot communicate about effectively. This is especially evident with teething. We know why they are uncomfortable, and we know it won’t last forever, but how can we expect small children to recognize these things? All they feel is pain for unknown reasons, and they usually can’t tell us about it. How would we feel if something hurt, and we didn’t understand it and couldn’t tell anyone? With the joys of increased communication, fast running, and newfound independence, toddlerhood also brings a new set of parenting challenges. By keeping the same principles in mind that we used with our newborns, we can learn new ways to apply our beliefs in sensitivity during this stage. Through continued physical touch, a high-energy mindset, and constant checks on our perspective, each day’s challenges can be met with the same sensitivity as always. Sensitive parenting through this phase is not easy, but sharing the excitement of toddlerhood with your little one is certainly worth the effort! Your friend has obviously had some experience with toddlers, and she knows that biting a playmate is common in this age group. (Perhaps her daughter has already been on the other side of the action.) Toddlers don’t have the words to describe their emotions, they don’t quite know how to control their feelings, and they don’t have any concept of hurting another person. When a toddler bites a friend, it most likely isn’t an act of aggression: It is simply an immature way of trying to get a point across, experimentation with cause and effect, or playfulness gone awry. 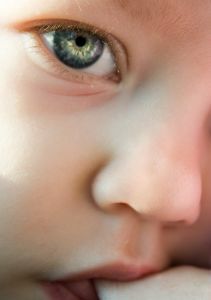 Watch and intercept — As you become familiar with your toddler’s actions, you may be able to stop a bite even before it even occurs. 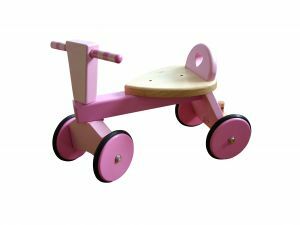 If you see that your child is getting frustrated or angry – perhaps in the middle of a tussle over a toy – step in and redirect her attention to something else. Avoid playful biting — Nibbling your little one’s toes or playfully nipping his fingers sends a mixed message to your child. A little one won’t understand when biting another person is OK and when it’s not, nor is she able to judge the pressure she’s putting into the bite. As she gets a little older, she will start to understand that some things can be done carefully and gently in play, but not in anger. This takes a little more maturity to understand three-quarters more than you can expect your toddler to have at her young age. Give more attention to the injured child — Typically, we put all our energy into correcting the biter’s actions and we don’t give the child who was bitten any consolation. Soothing the child who was bitten can show your child that his actions caused another child fear or pain. You can even encourage your child to help sooth his friend. Discuss this topic with other API members and parents. Get advice for your parenting challenges, and share your tips with others on the API Forum.